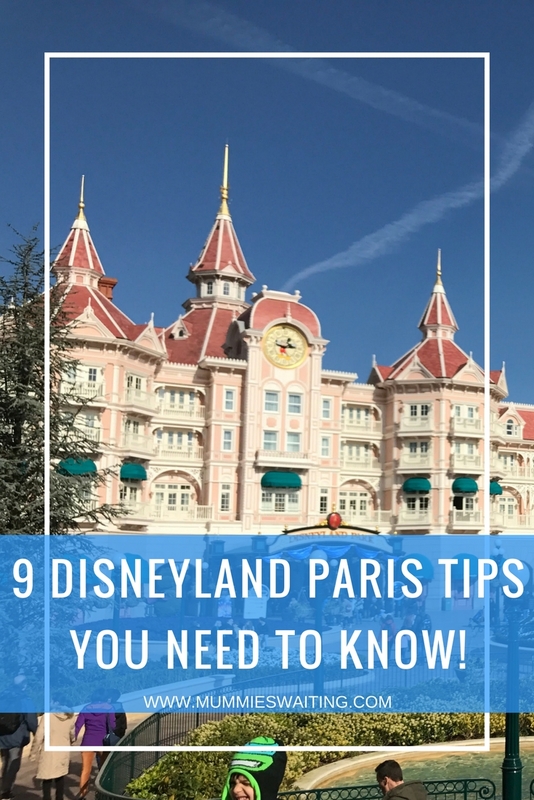 9 Disneyland Paris tips you need to know! Eek how exciting, as you are reading this, we will likely be arriving in Disneyland Paris!! I’m so excited to finally be on our way. I thought I’d share with you my top 9 tips for holidaying in Disneyland Paris as a family. Grab a photo pass or a temporary photo pass to make sure you can capture every memory from your trip, some of our favourite pics are those we were all in. Don’t forget to ask a cast member to take a pic of you with your own phone or camera too. 2. Take some time out! Plan to visit the play area/play park, let the kids run off some steam. Disneyland is so much fun, but there is also so much going on there too and you just don’t stop, all that energy builds up and guess when it’s going to come out?… on the way home when you want them to sit quietly! Save yourself some stress and plan a trip or two to the park, Disneyland Paris has 2 extra fun themed play parks that are perfect to run off some steam! 3. Check the menus before you go. Dinner with the princess sounds like an amazing idea, but realistically, it’s food that a lot of children won’t eat. Plan ahead, look at where you want to eat, check out the menus and book up! This way you also save time waiting in the queue while you are hungry too! If you haven’t used the fast pass system before, then start now! Head over to the Disneyland Paris Website to find more about it. Disneyland Paris’ fastness system allows you to ’skip the queue’, so grab a hot drink, relax and still get to ride without the wait. If you are a family that love to snack but don’t want to give Disney ALL your hard earned cash (or maybe you just want more for souvenirs), then my best advice to take a pack of snack with you. Its a question a lot of people ask, but you can take food into the park with you (just not a picnic hamper) so prepare to snack! Grab a lanyard, Wrist ID or better still an Adventure Belt! <– Affiliate links. Be prepared in case they do get lost and make sure they know your number is inside! It’s easy to take €300 for 3 days and spend €250 on day 1! Save your self a problem by popping it all into separate envelopes marked for each day and just taking 1 day out at a time. Got €50 left over the first day? You can choose to add it to the next or split it between whats left! 9. Don’t pack too much. I’m always the person to do this and I curse myself every time, WHY?!?!?! If you *might* need it, then likely just don’t pack it! This time we are only taking a pad and a pair of headphones each for the girls, my phone for me and Ryan’s phone for him. No extra hand luggage, no toys, games, trinkets for the hotel rooms etc. Why? Firstly, YOU WON’T USE IT! and secondly, if you think you will, YOU WON’T HAVE TIME or you’ll likely buy a Disney version of it there! Bonus Tip! If you are travelling by Eurostar, use the express luggage service, whats better than someone to take your bags and look after them for you so that you can get extra time in the hotel?! So those are my top tips, I’m off now to ride Rattatoulie! Leave me a comment with your top tip for Disneyland Paris or if you haven’t been, let me know if you would love to go and what you would like me to write about next!